This is the newest style in the world of IPA’s. Moving away from the hazy and juicy IPA’s and entering a realm of bubbly sleekness. 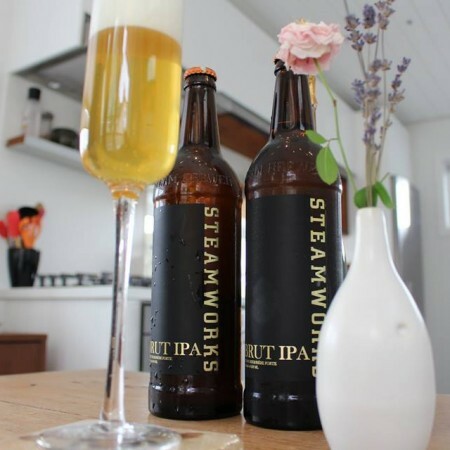 Brut, which means unsweetened and very dry, is exactly what you can expect from this champagne inspired brew. The beer is brewed with an IPA enzyme called amylase that breaks down the sugars from malts reducing sweetness and resulting in a very dry refreshing style. The Brut IPA juxtaposes a vibrant hop aroma with an effervescent mouthful, light body and minimal bitterness. Brut IPA is available now at both Steamworks locations and select liquor stores while supplies last.